Download doPDF 9.6 free latest version offline setup for Windows 32-bit and 64-bit. 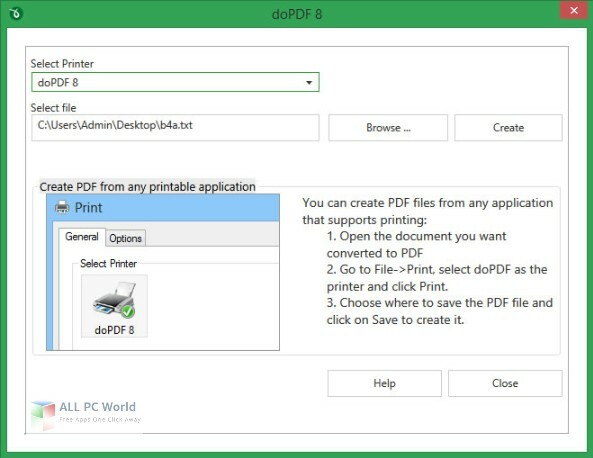 doPDF 9 is a professional application for producing PDFs instead of printing by creating a virtual printer. 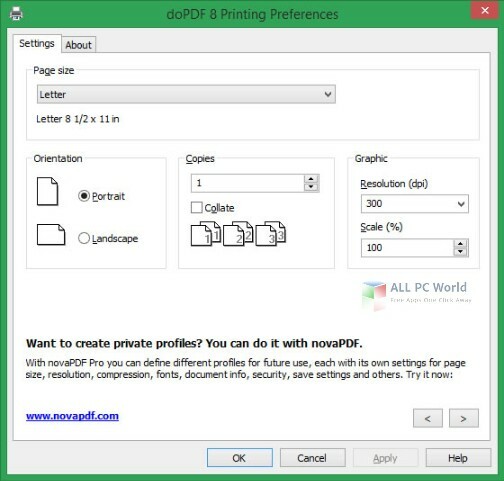 A powerful PDF creation tool as an alternative to print. doPDF creates a virtual printer to the list of the printers and helps in creating a PDF file on the computer rather than getting an actual print. The application provides an easy to use application with self-explaining options that help the novices to get complete advantage from this application. The application also provides the ability to convert different files individually to a PDF format as well as create both high- and low-quality PDF files for printing along with low volume PDF files for publishing or sharing purposes. It is a very lightweight program that does not disturb the performance of the computer and also do not disturb any other device. It can also work as an extension for the office suite programs. The application also adds a standalone tool for the users to get access from the Start menu. It supports all the standard paper sizes for conversion. All in all, it is a reliable application to convert the documents to PDF rather than printing.